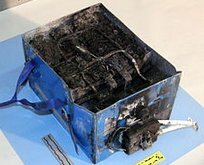 January 7, 2013 - A Japan Airlines Boeing B-787 Dreamliner from Tokyo to Boston caught fire while parked at the gate due to a malfunctioning battery. Passengers and crew had already departed the jet when the fire started. The fire was determined to be coming from a compartment that contains batteries and other electrical components. 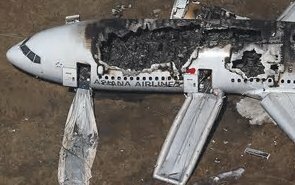 The fire was in the mid-section, where the battery packs are located, and those battery packs power auxiliary units when the aircraft is taxiing. The aircraft was running on auxiliary power at the time of the incident, and not ground power. The incident is the latest in a string involving the new Boeing B-787. Last month, a United B-787 en route from Houston to Newark diverted to New Orleans after one of its six generators failed. Back in 2010, a B-787 was forced to land when the airplane caught fire during a test flight..
January 16, 2013 - FAA ordered all Boeing B-787s grounded. FAA's emergency airworthiness directive required that the aircraft operator or Boeing had to prove the batteries safe and in compliance before they could fly again. The global grounding is the first time in 34 years that an entire airplane model has been pulled out of service. The FAA last ordered an entire model grounded in 1979, when it grounded the Douglas DC-10 jets. The B-787's lithium-ion batteries are manufactured by France's Thales SA. United Technologies Corporations Aerospace Systems supplies the overall system, which uses 1.45 megawatts of electricity, enough to power 400 homes. The battery, used to start a small turbine engine that provides power when the plane is parked, is designed to not burn critical wiring or the plane's structure. U.S. Dreamliners were allowed to return to service in April after changes were made to their battery systems to better contain battery fires. 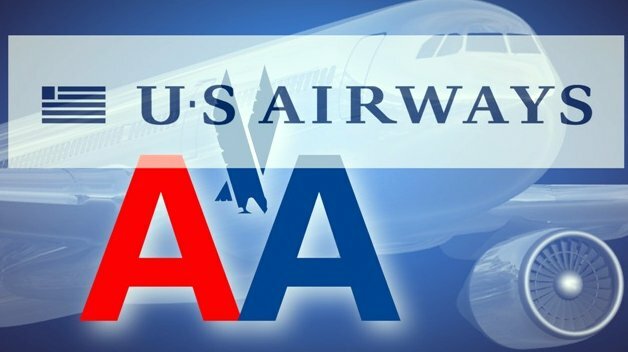 February 13, 2013 - American Airlines and US Airways agreed to a merger that would create the world's largest airline in terms of traffic measured by revenue passenger miles (RPMs). 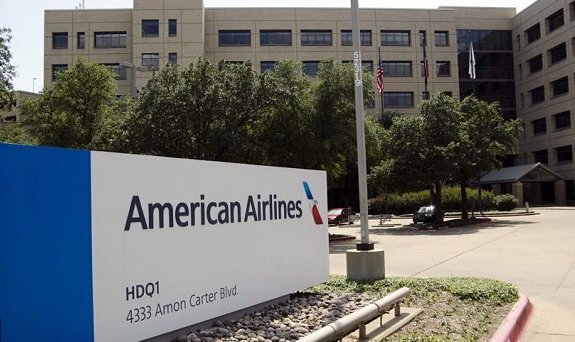 The combined airline will carry the American Airlines name and branding, and the headquarters for the new airline will also be consolidated at American's current headquarters in Fort Worth, Texas. As with any airline merger, one of the primary issues is the consolidation of a seniority list of pilots of the two airlines. Actually there are 3 seniority lists when America West and US Airways merged in 2005. These seniority lists of pilots will be integrated through arbitration, and will be attended by US Airline Pilots Association Merger Committee, West (American West) Merger Committee, and AA Pilots Seniority Integration Committee. The deadline to finalize the integrated seniority list is December 9, 2015, when the merger completes two years. American Airlines, Inc. (AA) is headquartered in Fort Worth, Texas, adjacent to the Dallas/Fort Worth International Airport. The airline is planning to build a new headquarters in Forth Worth and occupancy is scheduled for summer, 2019. They plan to house 5,000 new workers in the building. It will be located on a 41- acre property adjacent to American's flight academy and conference and training center west of the current headquarters. February 14, 2013 - FAA solicited proposals to create 6 drone sites around the United States in a major step toward opening U.S. airspace to unmanned drones. The test sites would be used to determine the requirement needed to ensure that drones do not interfere with planes in the airspace or endanger people or property on the ground. The Association for Unmanned Vehicle Systems International, sharing the skies with airlines, is projected to become an industry worth billions of dollars. Technical hurdles and privacy concerns remain in a regulatory program that's already behind schedule. University of Alaska, which has a diverse climate and several test sites in Hawaii and Oregon. They will work on monitoring, navigation and safety standards. The state of Nevada which plans to study standards for operators and certification requirements. They will also study how air traffic control procedures will evolve to handle drones. New York's Griffiss International Airport near Utica plans to research how drones and passenger aircraft will sense and avoid each other, to prevent collisions, particularly in the congested Northeast airspace. North Dakota Department of Commerce plans to develop airworthiness data and validate the reliability of links between pilots and unmanned aircraft. Texas A & M University in Corpus Christi plans to develop safety systems for drones. Virginia Polytechnic Institute and State University has test locations in Virginia and New Jersey which will test failure modes and technical risks for drones, to ensure they land safely if they lose their connection with a pilot. The FAA has approved several hundred permits for university research and public uses, including 80 law-enforcement agencies. A remote pilot is required for each aircraft. FAA Administrator Michael Huerta said: "Safety continues to be our first priority as we move forward with integrating unmanned aircraft systems into U.S.  airspace." While the FAA has required the test sites to follow state and federal privacy standards, the American Civil Liberties Union (ACLU) remains concerned about the standards that will actually apply. February 22, 2013 - Secretary of Transportation Ray LaHood issued a statement which said that as a result of mandatory sequestration, (deep budget cuts) the majority of the FAA's nearly 47,000 employees would be furloughed for approximately one day per pay period until the end of the fiscal year. Sequestration's $85 billion in across-the-board spending cuts went into effect after Congress and the Obama administration failed to reach agreement on a replacement plan. Federal agencies are now absorbing these cuts in a way that often means employees are forced to take unpaid leave. The FAA had to find $627 million in savings in its $16 billion budget. March 22, 2013 - FAA announced that 149 federal contract towers would close beginning on April 7 as part of the FAA's sequestration implementation plan. The FAA made the decision to keep 24 federal contract towers open that it had previously proposed for closure because of national interest considerations. The FAA contracts air traffic control services to the private sector at visual flight rule (VFR) airports. 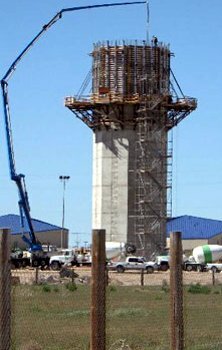 A total of 251 airports participate in the Contract Tower Program. The U.S. Contract Tower Association (USCTA) promoted the contract tower program to enhance aviation safety at smaller airports. 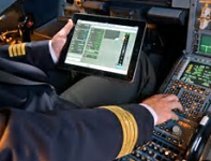 April 22, 2013 - American Airlines became the first U.S. airline to use Apple iPads on the flight deck during all phases of flight. American completed its rollout of the off-the-shelf electronic flight bags across its entire mainline fleet. 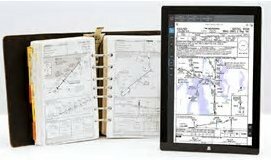 American B-757 and B-767 jets completed a 30-day transition with the iPads as primary flight support and paper charts as backup. A huge benefit for pilots, as a bag full of airways charts, airport maps and operations manuals can weigh 35 to 40 pounds. Also, pilots can find the right charts quickly and easily and they can see where the plane is on the airport, especially when taxiing across the airport to the runway. There has been at least one instance where an app failure on iPads grounded multiple American Airlines flights. Some flights experiencing an issue with a software application had to return to the gate to access a Wi-Fi connection to fix the issue. The Government Accountability Office warned that modern aircraft are increasingly connected to the internet. This can potentially provide unauthorized remote access to aircraft avionics systems. April 29, 2013 - President Barack Obama nominated Charlotte, NC, Mayor Anthony Renard Foxx to succeed Ray LaHood as 17th Secretary of the Department of Transportation. The Senate confirmed the nomination of Foxx to the Secretary of Transportation by a vote of 100-0. A member of the Democratic Party, he served as the Mayor of Charlotte, North Carolina from 2009 to 2013. He graduated from Davidson College, where he was the first African-American student body president. He majored in history, and went on to earn a J.D. from New York University School of Law in 1996. He was a clerk for judge Nathaniel R. Jones of the 6th Circuit Court of Appeals in Cincinnati, Ohio, and later worked for the United States Department of Justice and the United States House of Representatives Judiciary Committee. May 29, 2013 - State officials dedicated a new air traffic control tower at Kona International Airport at Keahole, Hawaii. 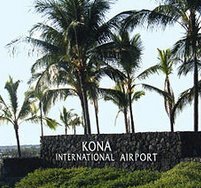 KOA is the primary airport on the island of Hawaii and serves transpacific and inter island flights. Hawaii, 'the Big Island', is known for its active volcanoes, orchids, golf courses and scenic coastline. The new tower replaced one constructed almost 43 years ago. FAA and state funds covered the cost of the $14.5 million project. Hawaii is the largest island located in the U.S. state of Hawaii. It is the largest and the southeastern-most of the Hawaiian Islands, a chain of volcanic islands in the north Pacific Ocean. The island of Hawaii has 3 active volcanoes including Kilauea which has been erupting since 1983. 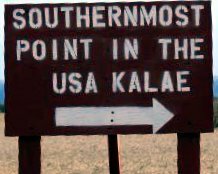 The southernmost point in the 50 States of the United States, Ka Lae is on Hawaii. The airline flies Platus PC-12 aircraft, a single-engine turboprop plane, configured to seat 6 people. Its first route linked San Carlos and Burbank, California..
Headquartered in Santa Monica, California, Surf Air now has a fleet of 12 PC-12 aircraft. June 19, 2013 - In testimony before the Senate Judiciary Committee, FBI director Robert Mueller acknowledged for the first time in public the FBI had used small, unarmed and unmanned drones to conduct surveillance. The use of drones had allowed the agency to learn critical information that otherwise would be difficult to obtain without introducing serious risk to law enforcement personnel. The also noted that it only used drones to conduct surveillance on stationary objects. Asiana Airlines is one of South Korea's two major airlines, along with Korean Air. This was the first crash of a Boeing B-777 that resulted in fatalities since the jet entered into service in 1995. The B-777 on a visual approach crashed short of Runway 28L threshold. The landing gear and then the tail struck the seawall that projects into San Francisco Bay. Both engines and the tail section separated from the aircraft. The vertical and both horizontal stabilizers fell on the runway before the threshold. The remainder of the fuselage and wings rotated counter-clockwise 330 degrees as it slid westward. The fire was traced to a ruptured oil tank above the right engine as leaking oil fell onto the hot engine and ignited. The fire was not fed by jet fuel. The NTSB found that the mismanagement of approach and inadequate monitoring of airspeed led to this crash. The flight crew mismanaged the initial approach and the jet was well above the desired glide path. The captain then selected an inappropriate autopilot mode resulted in the auto throttle no longer controlling airspeed. The jet then descended below the desired glide path and the crew, unaware of the decreasing airspeed, attempted to go-around when they were below 100 feet. Over-reliance on automation and lack of systems understanding by the pilots were cited as major factors contributing to this accident. The complexities of the auto throttle and autopilot flight director systems that were inadequately described in Boeing's documentation and Asiana's pilot training. The flight crew's nonstandard communication and coordination regarding the use of the auto throttle and autopilot flight director systems. The pilot's inadequate training on the planning and executing of visual approaches. The pilot monitoring/instructor pilot's inadequate supervision of the pilot flying. Flight crew fatigue, which likely degraded their performance. 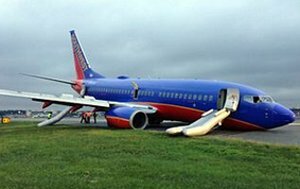 July 22, 2013 - Southwest Airlines Flight 345, a Boeing B-737, from Nashville International Airport to New York's LaGuardia Airport suffered a collapse of its front landing gear while landing at LaGuardia, injuring 9 people on board. The aircraft was written off as a total loss as a result of this accident. Southwest Flight 345 landed on Runway 4 with its nose landing gear touching down prior to the main landing gear. The nose gear collapsed upward into the body of the B-737, causing substantial damage to the avionics electronics bay in the fuselage. The jet slid 2,175 feet on its nose and came to a stop halfway down the runway in a sea of sparks. The NTSB focused on the behavior of the flight crew during Flight 345's approach into LGA. They discovered that Flight 345's captain had been the subject of multiple complaints by first officers who had flown with her. Southwest's flight operations manual requires its pilots to abort a landing if the plane is not properly configured by the time it descends to 1,000 feet. The NTSB determined that the captain had changed the airplane's flaps from 30 to 40 degrees at an altitude of only 500 feet. The captain observed that the plane was still above the glide slope and ordered the first officer to "get down" instead of aborting the landing. At an altitude of only 27 feet, and 3 seconds from touching down, the captain took control of the aircraft which was descending at 960 feet per minute in a nose-down position when its nose wheel struck the runway. The NTSB ultimately concluded that the crash was due to pilot error. Specifically faulting the captain for failing to take control of the aircraft or abort the landing earlier, noting that the captain had warnings at 500 feet (due to flaps misconfiguration) and at 100 to 200 feet (when the captain observed the plane was above the glide slope) and could have aborted the landing at that time. Southwest Airlines announced that it had fired Flight 345's captain, and required the first officer to undergo additional training. UPS Airlines is an American cargo airline owned by United Parcel Service Inc. headquartered in Louisville, Kentucky. The NTSB report cited pilot error as the cause of this crash. Both crew members had not received adequate rest before the flight and missed a step in programming the flight Management System Computer (FMC) for the approach to the runway. 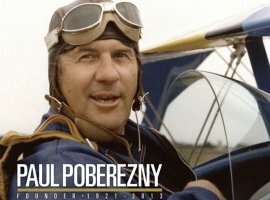 August 22, 2013 - Paul Poberezny, an American aviator and aircraft designer and founder of the Experimental Aircraft Association (EAA), died at the age of 91. He started EAA as a club in Hales Corners, Wisconsin, for those who built and restored their own aircraft in 1953, and grew the club into an association with more than 180,000 members in more than 100 countries. Poberezny is the first person to have universalized the tradition of aircraft homebuilding. Through his work with EAA, he had the reputation of helping inspire millions of people to get involved in grassroots aviation. 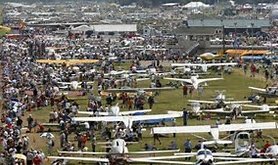 EAA Air Venture Oshkosh is an annual gathering of aviation enthusiasts held each summer at Wittman Regional Airport in Oshkosh, Wisconsin. Sponsored by the EAA, it is the largest of its kind the world. The show lasts a week, usually beginning on the last Monday in July, attracting more than 500,000 people and 10,000 airplanes. The EAA Air Venture Museum in Oshkosh, Wisconsin houses a collection of more than 200 historic airplanes along with world-class galleries and displays. Most pilots remember this annual event as The Oshkosh Airshow, or just Oshkosh, but the name of the event was changed in 1998 to Air Venture Oshkosh. 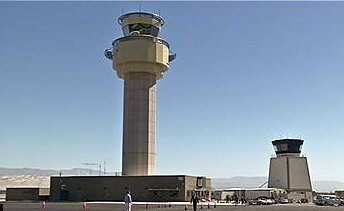 September 15, 2013 - FAA began operations in the new $33 million, 268-foot air traffic control tower at the Boise Airport in Idaho. 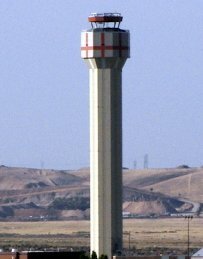 the new tower replaced a 40-year old, 65 foot tall control tower. The new tower also houses a new TRACON, which is the Terminal Radar Control Facility, for both Boise and Bozeman, Montana. 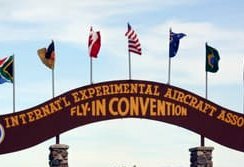 In addition to being a commercial and general aviation airport, Boise also functions concurrently as a USAF military facility as used by the 124th Fighter Wing of the Idaho Air National Guard on the Gowen Field Air National Guard Base portion of the airport. The Boise airport is operated by the City of Boise Department of Aviation and is overseen by an Airport Commission. It is the busiest airport in Idaho, handling over 1,500,000 enplaned passengers. September 20, 2013 - FAA dedicated a new air traffic control tower at Palm Springs International Airport, California. The $24.5 million project replaced the control tower built in 1967. This new tower includes coated glass panels to reduce heat inside the controller work area and motion sensor-controlled lighting. September 27, 2013 - A United Airlines pilot suffered a fatal heart attack while flying en route from Houston, Texas to Seattle, Washington. He was 63-years old, and the co-pilot landed the plane safely at Boise, Idaho. He was unconscious when he arrived at the hospital and died 3 hours later. United Flight 1603, a Boeing B-737, had an in-flight emergency, and the jet diverted to Boise, Idaho. The debate over FAA age restrictions for commercial airline pilots was once again discussed. In 2007 the mandatory pilot retirement age was raised from 60 to 65. At that time the FAA said 5 pilots ranging from 48 to 57 had died in flight since 1994. It's important to have careful pilot health screening. November 14, 2013 - FAA certified the Learjet 75, a light business jet with a maximum range greater than 2,000 miles at cruise speeds up to Mach 0.81. The Learjet 75 can fly 4 passengers and 2 crew members non-stop from Los Angeles to Toronto. Additionally, it will be able handle a range close to 1,950 miles with 8 passengers. The Learjet 75 by Canadian aircraft manufacturer Bombardier Aerospace features new avionics, winglets and powerful engines that use less fuel. 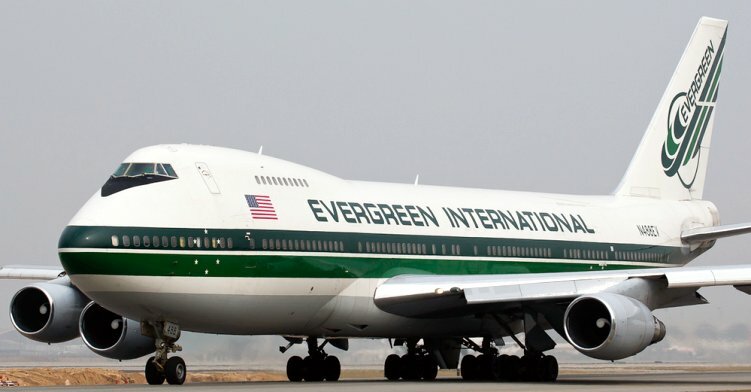 November 29, 2013 - Evergreen International Airlines, Inc., a cargo airline based in McMinnville, Oregon ceased operations because of financial difficulties. Evergreen operated contract freight services, offering charters and scheduled flights. It operated services for the U.S. military and the United States Postal Service as well as charter flights. Its crew base was at JFK Airport, New York.